I have to admit, I have certain aspirational purchases that sit in the back of my mind... things I would love to have, but might be out of my price range. 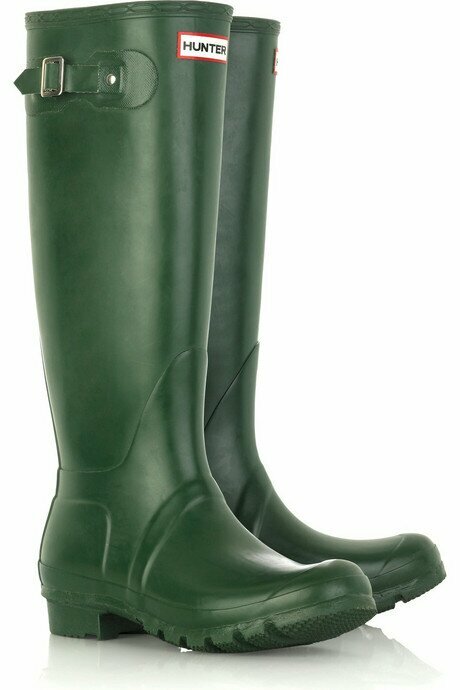 One of those items were Hunter wellies, the iconic rainboots I've seen on so many blogs and fashion websites. Well, this is where Caroline saved me. She not only located some classic boots in green in Boston, but found me some shiny, quilted black boots in Colorado. She put them on hold for me, and I called in the order. I will have to document this deprivation and torture here on the blog.